When Hubs and I first entertained the thought of home schooling our children, I wrote out a list of goals. Toward the top of this list was not to just bring them to the saving knowledge of Jesus Christ, but also the ability to know WHY they believe what they believe. If I may be so bold to say, no logical (and honest) person can look at the night sky or images of space and say it all happened by chance, that it wasn’t deliberately put here by an Intelligent Being. In fact, the idea is so ridiculous to me that that same idea is proof enough that there must be a great deceiver as well; one who is playing upon man’s selfish, proud nature-the nature that wants to believe a lie. 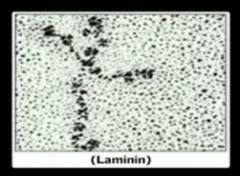 I have often wondered how any molecular biologist can be an atheist. The human body is amazing. Beyond words amazing. I am no molecular biologist, no brain surgeon, no scientist of any kind-nor do I play one on t.v.-but I understand enough to know that the body is made up of so many tiny machines that are dependent upon one another to function that it is incomprehensible-read IMPOSSIBLE-for it all to have happened by chance or an evolutionary process. 15 He is the image of the invisible God, the firstborn of all creation. 16 For by Him all things were created, both in the heavens and on earth, visible and invisible, whether thrones or dominions or rulers or authorities—all things have been created through Him and for Him. 17 He is before all things, and in Him all things hold together. Before time began, God knew it would all come down to this. 6.) The nation of Israel. Ever wondered why the world cares so much about the tiny nation of Israel? Think it is coincidental that a people who were scattered across the globe came back together after nearly 2000 years? I don’t. The fact that the Bible is written over a span of 1500 years, by many different authors, all pointing to a common theme and having the same message is miraculous. And has withstood the test of time! There is no question that the world is spinning out of control. Acts of evil and hatred abound. The recent tragic events in Connecticut are unfortunately becoming less shocking as the violence rages and intensifies. People are sinful by nature and thus history is full of examples of horrific acts, but the culmination, intensity and frequency of events by a godless world is overwhelming. Things were bad when Paul wrote to Timothy, but there is no way he could’ve predicted that they could be as they are today. 9.) My own experience! You have heard it said, “I know Jesus lives because I spoke with Him this morning”. Upon hearing this, you may have rolled your eyes and thought, “Yeah, right….nutty, brainwashed person”. However, it is so very true. No, I have never heard a loud booming voice descending from the sky or from a burning bush, but it is a voice all the same. When you become a true follower of Jesus, the Holy Spirit comes to reside within you. No longer is it our “conscience” we follow, but the gentle guiding of the Holy Spirit. Furthermore, I have seen Him at work in my life. These are not coincidences or fate or any other such nonsense. When you follow Jesus, you just “know that you know that you know”. Some say the answer to the world’s problems is to get rid of all religion. Religion is the source of much of today’s violence and mayhem. I agree that perhaps religion is a major conduit. However, true Christianity-what the Bible teaches- is not a religion. It is a relationship with the Almighty, the Alpha and the Omega. Who can deny that the dissolution of Biblical values-the 10 Commandments, Beattitudes, wisdom in Proverbs etc-in our nation is directly related to the decline in our society? We are a lost people, groping around in the dark for some purpose and meaning. Searching for something to fill that gaping hole in our spirits, we chase after money, possessions, fame, relationships. None of these give us the peace that we so desperately seek. If you do not know Jesus as Lord and Savior, it is my prayer that you, dear reader, will spend some time searching the Bible for the answers you need. Jesus is the Way, the Truth and the Life (John 14:6). He offers a peace that is everlasting and beyond comprehension (Philippians 4:7). Please contact me if you would like to know more, need a shoulder or need prayer. I will respond to all serious requests. If you are just looking to pick a fight, look elsewhere and God help you! aww, thank you so much. To God be the glory! Wow this is simple beautiful friend. I will link you post into one of my menues. I hope you do not have issues in that. Not at all. Thank you and God bless! Thank you for being HERE!!!!! I am going to chew on your insights!